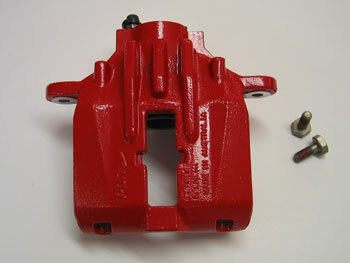 Genuine GM Parts rear right Z06 caliper for the C5 Corvette. Gloss red powdercoat finish. Construction and performance are identical to the standard matte black caliper, color is the only difference. Lightweight, pressure cast aluminum PBR caliper for maximum rigidity and service life. Single, �45mm aluminum piston with dust seal.